If your GameCube's given up the ghost or there's more nails in your Nintendo 64's coffin than hairs on your head, you might be thinking of recycling it. Etsy store GreenCüb goes one better and upcycles dead consoles and controllers into office equipment. Graeme Abraham turns GameCubes into desk organisers — cleverly the control ports pull out like a drawer — and controllers into pen tidies and USB ports. N64 control pad connectors get turned into USB flash drives too. We're all in favour of keeping these gaming greats from going to landfill. 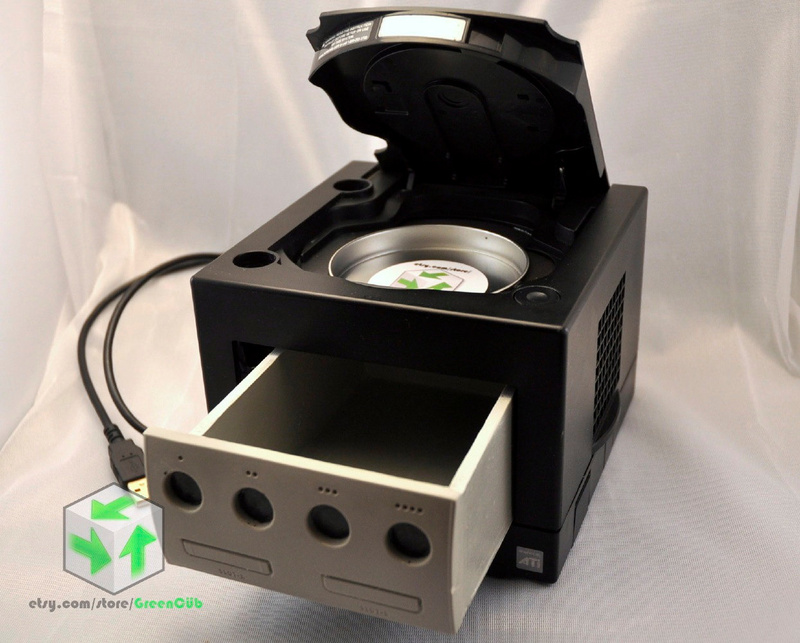 After all, who wouldn't want to store their paperclips and pens in a GameCube? I want an N64 briefcase! I'll just buy a second GameCube so I don't do anything to my original. Also, how much does this cost and do they do this for any other system? missing a "who" in that last sentence James. I'd like to have one of those on my desk for sure. And a N64 plug usb stick. I like that modified Gamecube, ha. I have 2 dead Gamecube consoles.... and no awesome drawers. Perfect. I've seen a lot of dead consoles but I like to fix them more than turning them into something new. It's fun and profitable, plus when I get one that doesn't work, I'll keep all the working parts and shell for the next repair. This is really cool idea though, just don't destroy anything that is rare or a limited edition version. What!! Flash-drives only come in 8 and 16GB . . .
Oh well, maybe they could market them as 64Gb. Nintendrawer... sounds pretty awesome to me. 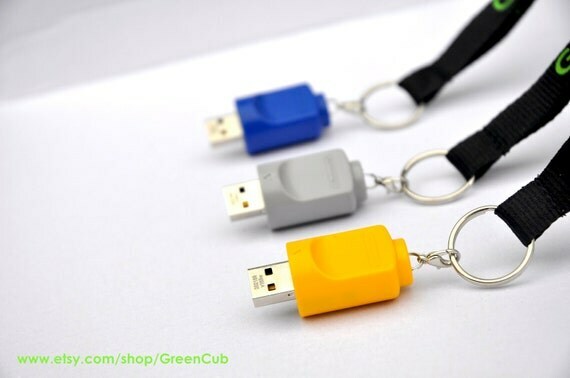 Those N64 flashdrives are just too adorable. I just want my official Gamecube lunchbox! I wonder if they could make a GameCube fish tank. Better call ATM for this one. Only thing the GameCube is big enough for would be a jewelery box.